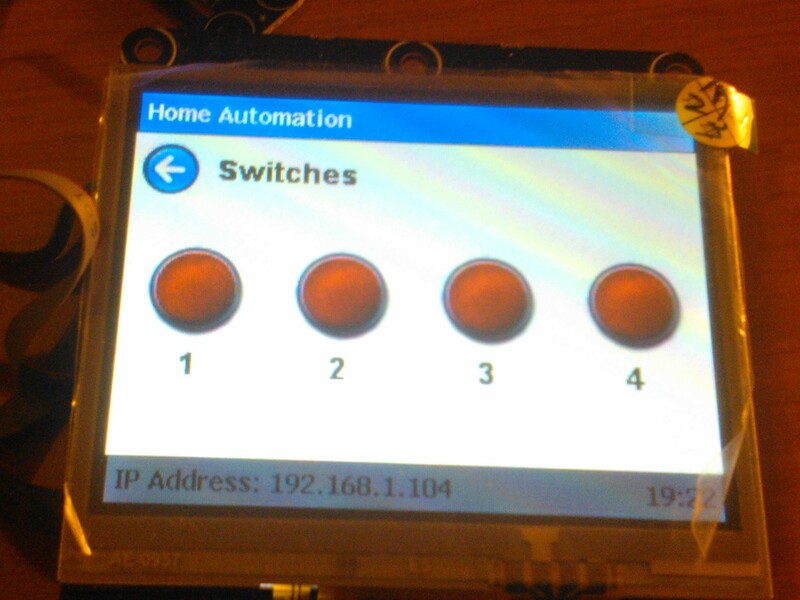 In this post I want to describe how to create a Home Automation System that puts together many of the modules and source code we talked about on this blog during the past months. In particular, we’ll create a Gadgeteer device that uses touch screen capabilities of Display T35 to provide access to all the functionalities of the system. Camera, with which we can show, for example, people that ring our bell. Moreover, we need to create some custom fonts for the application. .NET Micro Framework SDK provides a command line tool that allows to do this. Alternatively, you can use the Tiny Font Tool GUI to make things simpler. In the ZIP file attached to this article you can find all the fonts we’ll use. tmrIdleTimer is the timer used to check when the application is idle, so that the idle screen is shown. window contains a reference to the WPF window that represent the display. We will see how these variables are used in a moment. // Makes the Wi-Fi connection. // Synchronize the Clock with a Reference Server on the Internet. // Initialization has successfully completed. Note that we execute this code only if it is the first time synchronization, because the TimeManager periodically asks for time updates, and every time raises this event, but we need to actually initialize the system only once. We call the Initialize method on TempHumidityManager, RelaysManager and CameraManager classes, passing the corresponding module to them. These static classes are used to access modules and their information from outside the Program.cs class. // Stops and starts the idle timer, i.e. restarts it. // When a touch events occurs in the Idle window, the Main window is automatically shown. the left margin of the text. The font of the label is retrieved using FontManager, a static class that provides access to all the fonts that has been included in the project. The result is shown in the following screenshot. We check what image has been pressed and turn on or off the corresponding relay, using the RelaysManager class. Then, we change the image to graphically reflects the relay status. We register the BitmapStreamed event of the Camera module (exposed by the CameraManager class), and we add an Image to the panel. When the event is raised, we show the bitmap in the control. 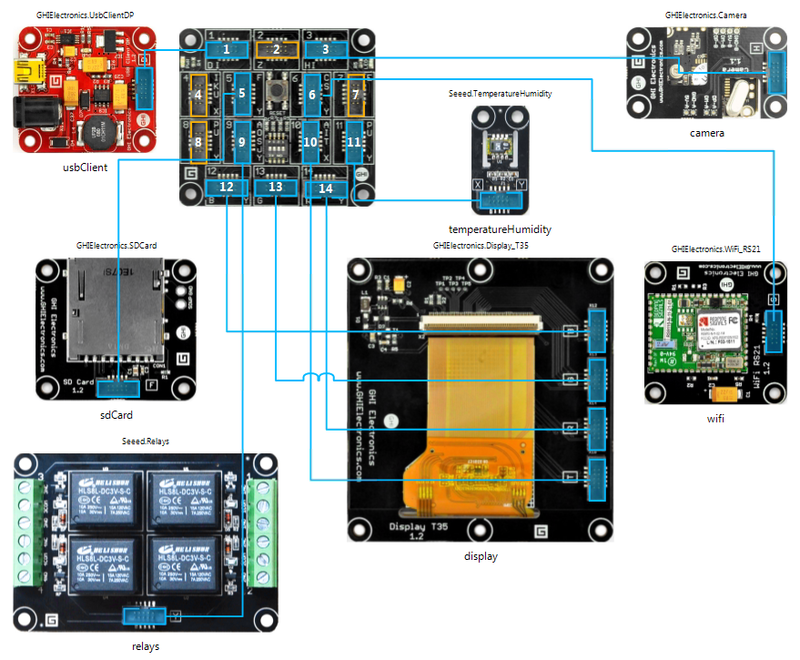 The complete Gadgeteer application is available for download. 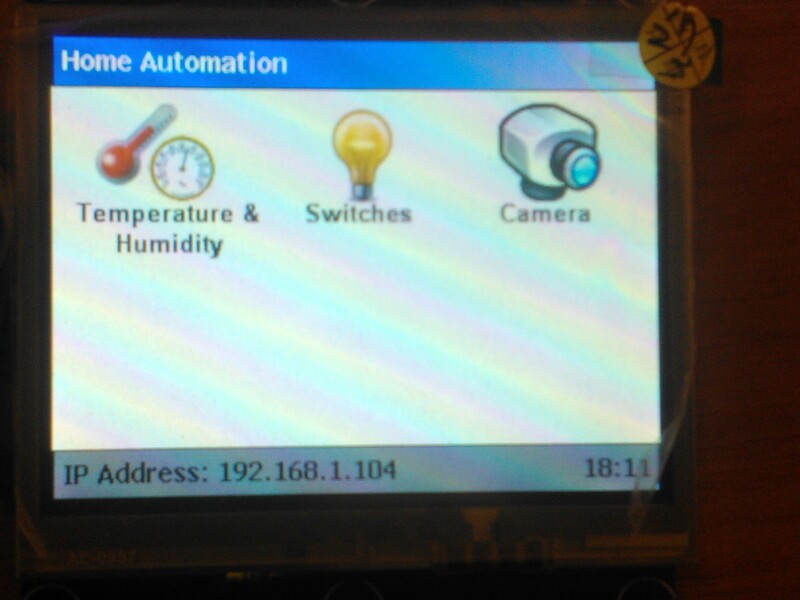 This entry was posted on September 17, 2012, 1:59 PM and is filed under Embedded Microcontrollers. You can follow any responses to this entry through RSS 2.0. You can leave a response, or trackback from your own site. Does this project you developed is Gadgeteer 4.1 or 4.2? What is your SDK version? Because when I open your project in VS2010 Express, It shows many error. Loss the Seeed driver,and can’t see mamy picture of the modules. 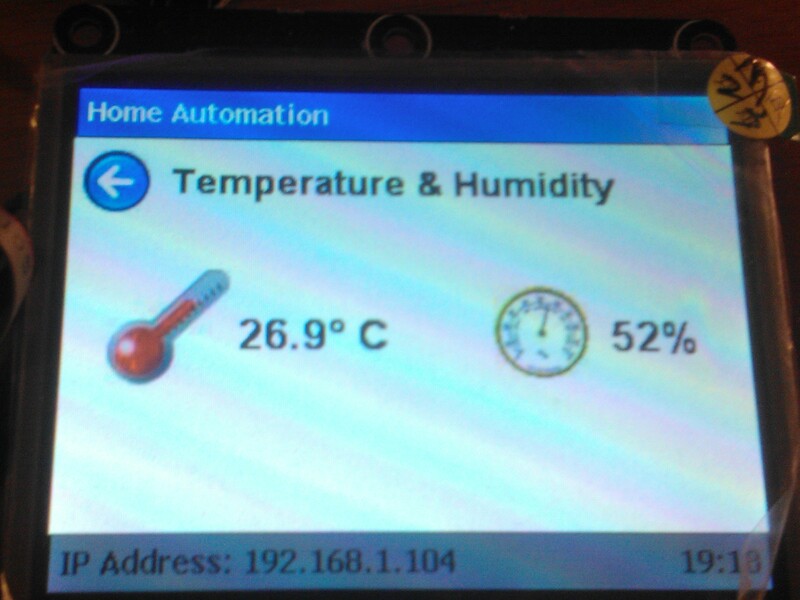 I have the latest SDK of GHI. I also can’t use the Wifi module in Gadgeteer 4.2 Project. Thank you very much, learn many form your blog. 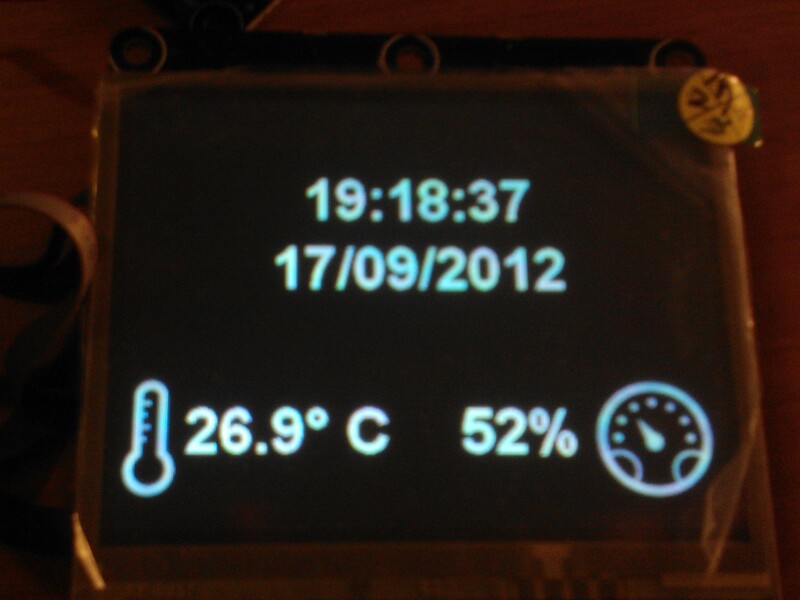 The project is developed using Gadgeteer and SDK 4.1. The 4.2 version is still in beta and doesn’t support all modules yet, like the Wi-Fi. If I create the 4.1 Project, when deploying, it will shows ” Error	1	Cannot deploy the base assembly ‘mscorlib’, or any of his satellite assemblies, to device – USB:Gadgeteer twice. Assembly ‘mscorlib’ on the device has version 4.2.0.0, while the program is trying to deploy version 4.1.2821.0″ . What is the version of your project? Do you mean the .NET Micro Framework I have used? I have worked with .NET MF and Gadgeteer Package version 4.1. Any idea when the 4.2 version will be available? What error do you obtain?